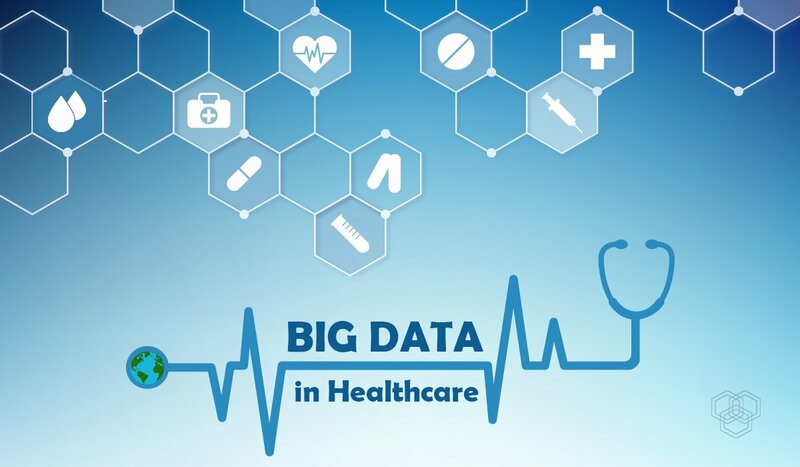 Big data in healthcare refers to the huge health data assembled and collected from various sources that include digital health records, medical imaging, genomic sequencing, monitoring of patients, wearable sensors, and medical devices. In healthcare, a medication error is a very major and critical issue. Sometimes patients lose their lives because of the wrong medications. Healthcare data is very sensitive, and organizations need to be very careful about its security. Big data can help lessen the errors by analyzing the patient’s record with all the medication prescribed. Big data enhances decreases medication errors by improving financial and administrative performance. Well established companies use big data as a part of their business intelligence strategy to explore patient’s admission history. It also examines staff efficiency. With the assistance of big data, the overall cost reduces. Further, it also provides better healthcare to patients. It permits the data adherence programs. It provides alignment of proven pathways. It contributes to the performance and production transparency. The number of patients and hospitals are increasing, and so is the supply of the tools in the medical facility. With Big Data Analytics, predictions based on last year’s data records can be easily made. It is then compared with the present year records. Predictive analytics allow hospitals to save a large amount of money by predicting the demand for medical supplies precisely. The saved amount can be beneficial to have higher profits. It can also be used as additional revenue. It enlightens lifestyle choices and options that encourage the well being and the active engagement of consumers in their care. Lack of data is the main problem of not identifying high-risk patients in the hospital. By using big data, predictive analysis high-risk patients are identified. Some hospitals have been able to decrease the number of emergency room visit by distinguishing and identifying the high-risk patients. It also offers customized patient-centric care. Big data and Predictive Analytics combined is a very mighty and powerful tool. It comes to the rescue with this issue as well. Predicting the admission rates along with the attrition rate will help with staff allocation. In turn, the rate of investment is drastically reduced, and investment can be utilized to the maximum. Big data promotes and provides evidence-based care. It is also valid to transfer needed results for each patient while assuring and securing safety. Big data can help evaluate high-risk factors and components. Big data and predictive analytics can notify and advise us who may be at risk of cardiac arrest or any other health condition like high cholesterol. Big data helps in detection of the fraud. It also helps in the security. The wearable medical device is a high tech health monitoring device. It manages and performs specific medical functions like supporting and monitoring over an elongated and prolonged period. Wearable technology plays a vital role in medical and healthcare technology. In the healthcare sector, more applications of the wearable devices are coming. The market of the wearable devices is increasing with the passage of time. Wearable sensors can be devices like smart shirts, smart watches, etc. that allow blood glucose level, blood pressure, heart rate, and other biometric data to be measured continuously. The real-time information is then delivered and transferred to the healthcare providers. Wearable Biosensors has developed the two-way communication between the doctor and the patient. It enhances communication and is consistent. It provides innovation to promote the frontier of medicine. It also enhances and boosts the productivity in evolution, discovery, development, security, and safety. Big data saves time and as well as cost as big data is an efficient and effective way of collecting the data. Digital health record assists in assembling demographic and medical data like a lab test, detections, clinical data, diagnosis, and medical conditions. In this way, it helps the care providers to improve the quality of the healthcare they are providing. Big data has also found ways through which a cure for the disease can be detected. Big data can also help uncover unknown correlations, hidden patterns, and insights by analyzing large sets of data. With the help of machine learning, big data can study human genomes. In this way, it can find accurate usage, treatment or drugs to treat cancer. Remote Patient monitoring programs have the potential to decrease the care cost and hospital readmissions. It basically focuses on the patient-generated data from home through mobile health platforms. The data generated is then connected to the care providers team. The data can be transferred by the patient or gathered by the patient to the care providers without the engagement of the patient. A care provider can keep track of the patient all over the clock; collect data on health activity, diet, exercise, and a health record. A care provider can also manipulate this program to get care management tips and health advice. Remote Patient monitoring is very significant for the patients as it provides personal freedom and independence. RPM also permits and allows the patients to take a more dedicated approach towards their health. RPM helps in earlier detection and diagnosis. It also helps in a more convenient way of treatment which improves health without sacrificing the cost and time. It is an acceptable and well-grounded approach that increases and enhances healthcare value by reducing the cost. It also provides better quality. This will help in promoting customized care to the patients. Healthcare facilities are helping patients a lot by providing proper monitoring to the patients. These data are then provided to the care providers in real-time. Because of the real-time care, the relationship between the patient and the doctor also become better. Care in real time saves both the money and time. This makes healthcare more convenient and persistent. The care providers, i.e., nurse and physicians are most applicable to transfer prescribed clinical work. With the help of big data, there is an enhancement in the patient’s engagement. Digital health records have made it easy to give access to the physicians and as well as the patients. In this way, more patients can engage. All in all, Big Data can make life easy. It can help in saving lives. It can bring a lot of improvement in healthcare management.